In a bid to alleviate transport poverty, the charity is offering locals struggling with transport costs a year’s membership for just £3 (normally £60). The charity hopes the Bikes for All project will save participants money, as well as boost mobility, mood and independence. To help support the project Forth Environment Link is looking for donations of bike helmets and gloves. 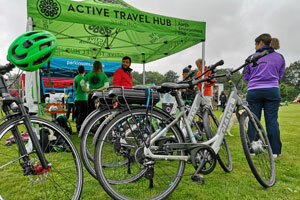 If you can help or are struggling wit h transport costs, contact Chris James on 01786 474160/ chris@forthenvironmentlink.orgor pop into Stirling Active Travel Hub.